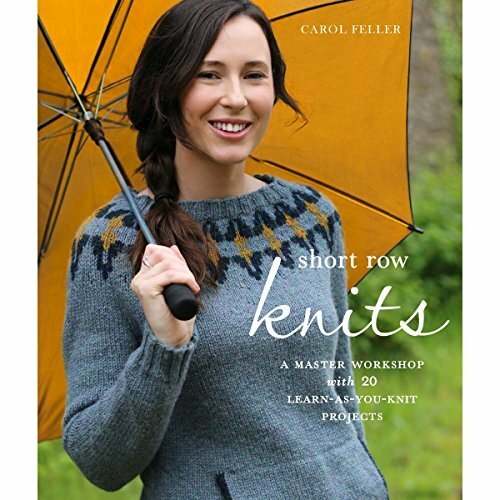 Random House-Potter Craft Books: Short Row Knits. Add curves and three-dimensional shaping to your knits to create figure flattering cardigans, wraps, and perfectly fitted hats and socks. Working partial rows into your knitting is simple: instead of knitting the whole row, you stop before you get to the end, then you turn your work, and knit in the other direction. These short rows create the extra length in the fabric needed to fashion graceful curves and silhouettes. Author: Carol Feller. Softcover, 160 pages. Published Year: 2015. ISBN 978-0-8041-8634-6. Imported.